There's blood in the water and it comes from Xiaomi, a Chinese smartphone maker that risks becoming a target for patent holders that want the company to pay up. 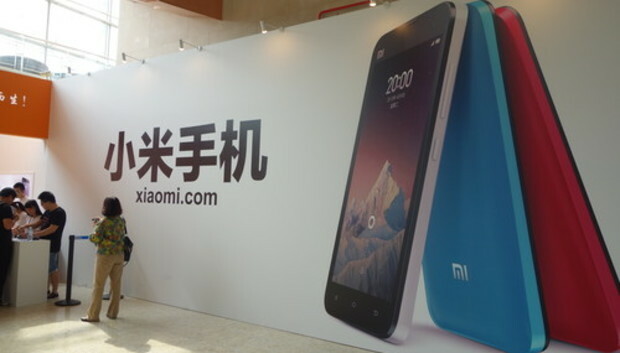 The legal troubles throw a wrench in Xiaomi's international expansion, and could open the company to even more lawsuits from other patent holders, analysts warn. In Ericsson's case, the company said it had spent more than three years complaining to Xiaomi about the alleged patent infringement, which relates to the telecommunications technology used in the company's phones. "Ericsson, as a last resort, had to take legal action," the company said in an email, which claimed that Xiaomi had declined to pay a fair licensing fee for the technology. Xiaomi has enjoyed an almost meteoric rise, becoming China's top smartphone maker this year. However, the company was only founded in 2010, and doesn't possess an extensive patent portfolio that so many older technology firms like Ericsson wield. "It's possible lawsuits will be filed in other countries, and not just from Ericsson, but other vendors that want to use patents as a weapon against Xiaomi," said Wang Jingwen, an analyst with research firm Canalys. "If Xiaomi is willing to pay for the licensing fees to Ericsson, the issue can be resolved," said Xiaohan Tay, an analyst with research firm IDC. "But the higher cost for smartphones may be passed on to consumers, and Xiaomi may not be able to offer phones at such a low cost to consumers anymore." A major reason why Xiaomi has been so successful is because its products are so inexpensive. The company's latest flagship phone, the Mi 4, has high-end specs including a Snapdragon 801 processor, a 13-megapixel camera, and a 5-inch 1080 p screen, all in a polished metal casting for 1999 yuan (US$326), or less than half the price of an iPhone. Some of the company's other phones are even cheaper and have helped the company quickly grow its market share in China. To keep its operation costs down, Xiaomi has ditched traditional advertising and brick-and-mortar stores, for an approach that focuses on selling and marketing its phones through the Internet. Raising product prices, however, would dilute the brand, given that Xiaomi is known for offering low-cost phones, Tay said. "Also, India is a key market for Xiaomi and this dispute may enable the local vendors in India to gain some ground," she added. It doesn't help that Xiaomi has also been accused of lifting ideas from competitors, including Apple, which might expose the company to more patent litigation. "Even though they have some issues, the Chinese market is big enough to support a company like Xiaomi, and they can expand to other product lines," he said. To defend itself from lawsuits, Xiaomi could end up acquiring a technology company with a strong patent portfolio, he added.